We offer a wide range of conveyorised ovens, which are suitable for various processing operations. Air re-circulation flow can also be supplied from top-down, bottom-up or from both sides as per the configuration of articles and the surface to be processes. Further, our range include spiral weave, slat, S.S, raised ribs, fire stone rubber, P.U, teflon, etc. Heating zone length can vary from a meter to more than 50 mtrs. 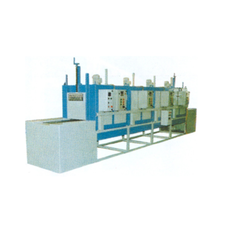 We offer flat belt conveyorized oven, which is an electrically heated conveyor oven. These consist of various zones in wherein the same temperature can be provided in the zones along the path of the belt. 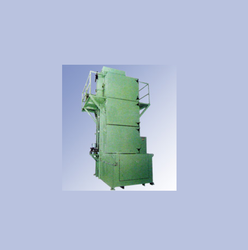 Our range of oil fired flat belt conveyorised ovens are fitted on oil/ gas fired heat exchanger. These are incorporated with powerful blowers to extract the heat from the heat exchanger and to maintain the uniform temperature across the different zones. 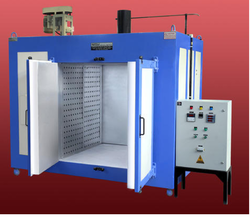 Our range of vertical conveyorized oven is widely used in automotive industries for curing of powder and baking of paint. These are designed to cover a small floor area and easy to install. We offer a wide range of triple decker conveyorised ovens, which are used in the process of drying/ roasting dry fruit and other eatable items. These are provided with oil fired heat exchanger and high power blower.